Only 12 People In The World Can Do THIS...And He's The Youngest. With all the technology surrounding us today that’s constantly shifting and innovating, many old crafts are lost in the dust. Because of this, art forms that have been passed down for generations are struggling to stay alive. You probably don’t think much about your handwriting. In fact, it’s pretty much obsolete today. But long ago, before typewriters started making things easy, penmanship was extremely important and many people pursued occupation in the field. 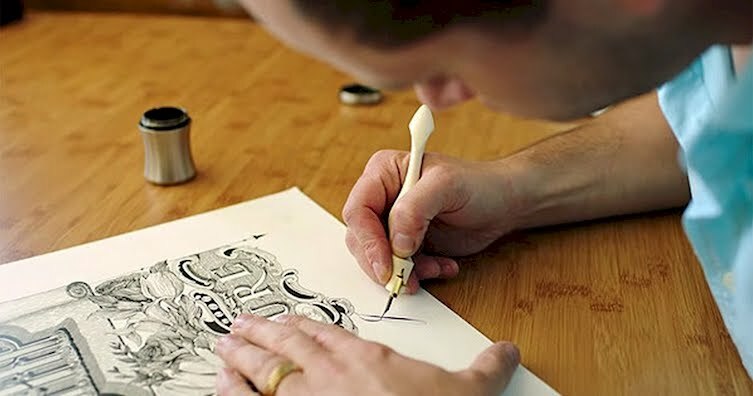 Jake Weidmann is one of only 12 living master penmen.